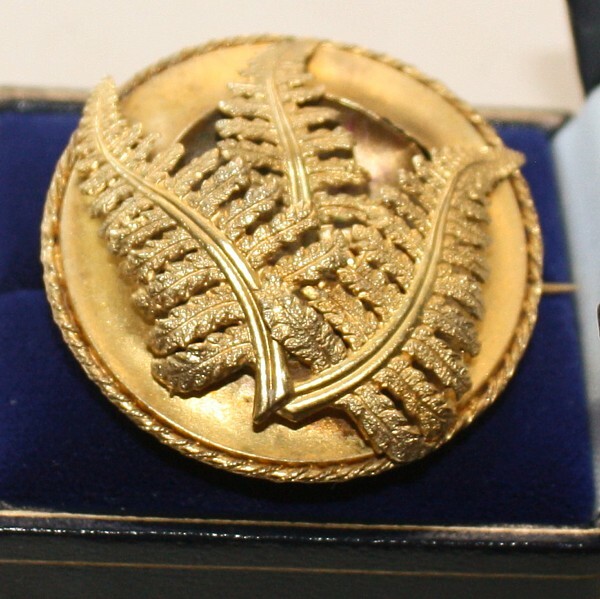 Exquisite Antique Estate Remembrance or Mourning Brooch, made in the mid 1800's, with a trio of beautifully articulated gold Fern fronds on the front, and a circular opening in the back meant to hold a lock of a loved one's hair, or their photograph. Closes with a celluloid cover. Mourning Jewelry is a symbol of dedication and devotion to those we have loved most, this pin forever connects to their memory, history and impassioned love you had for the one who passed on. The Victorians were particularly enamored with all things in nature, the Fern fronds stood for secret bond of love, or shelter. 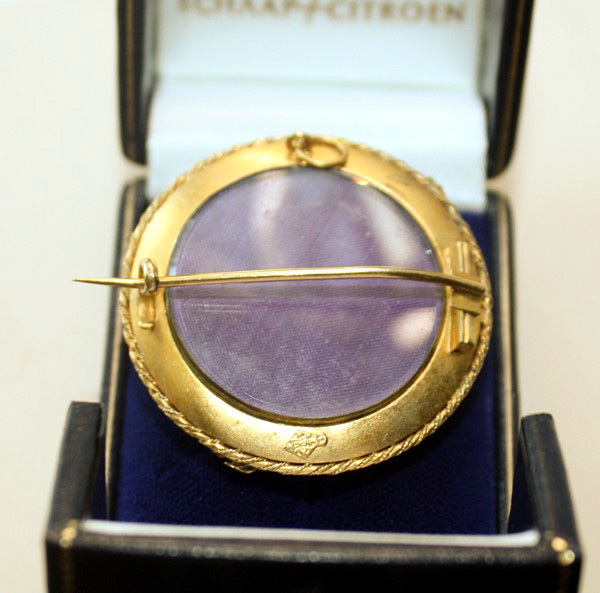 Beautifully made, this magnificent heirloom English mourning brooch is a must have for collectors of fine quality jewelry, a superb example of this unusual Victorian era tradition of funereal and d'amour memento.